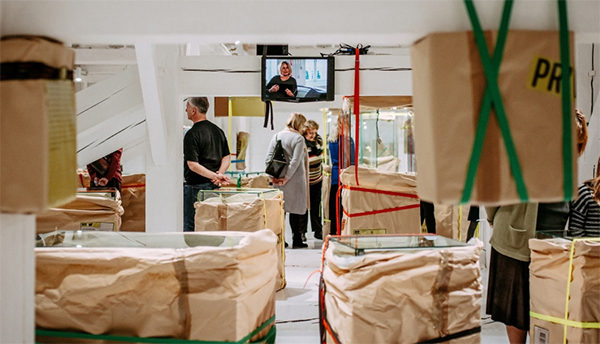 04 Nov – 03 Dec – Latvian National Museum of Art – Cupola Hall. “Jewellery by Artists: From Picasso to Koons. Diane Venet’s Collection”, an exhibition organised by the culture and art portal “Arterritory.com”, will be on show in the Cupola Hall of the main building of the Latvian National Museum of Art in Riga (Jaņa Rozentāla laukums 1) from 4 November to 3 December 2017. In all, it features 113 pieces of jewellery created by 82 well-known and illustrious artists of the 20th and 21st centuries – Pablo Picasso, Man Ray, Roy Lichtenstein, Max Ernst, Yayoi Kusama, Louise Bourgeois, Jean Cocteau, Georges Braque, Niki de Saint Phalle, Lucio Fontana, Antony Gormley, Keith Haring, Damien Hirst, Anish Kapoor, Yoko Ono, Frank Stella, Robert Rauschenberg, and many more.